WhatsApp is known for the continuous new updates and features, continuing trend company is now introducing a new feature where you can pin your favorite chat on the top of the list, for the easy access. This feature is very helpful for those who are part of lots of groups where tons of forwarded messages arrives and bring your personal and professional chat down in the list. As per the recent reports, the new WhatsApp feature allows users to pin conversations with their favorite contacts to the top to the Chats tab. The new feature is being tested on Android for now but is expected to roll out to stable versions of the app soon. 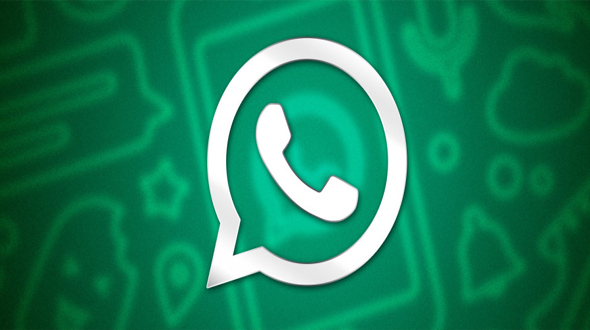 This is a part o project where, WhatsApp has been testing many new features recently to make chats more fun and convenient, and another such feature has come to light. The feature was first reported by Android Police. All though the feature is still not rolled out for common people, but if you're running WhatsApp beta for Android versions 2.17.162 or 2.17.163, you'll most likely be able to use it. Press on the individual/ group chat you want to pin to the top and choose the Pin symbol from the top bar. The other options alongside Pin are Delete, Mute, and Archive. Once you pin a chat, it will remain on the top of your chat list, irrespective of your dialogue or conversation timings with the individual or group concerned. Even though you have more recent WhatsApp chats with other individuals and groups, you will see them after these pinned chats. WhatsApp allows you to pin a maximum number of three chats, after which it will throw a notification that 'You can only pin up to 3 chats' if you try to pin another chat. You can also unpin WhatsApp chats whenever you please, by long pressing the option, and disabling the Pin button. As mentioned, this feature is in beta and has not rolled out to stable versions yet. If you cannot wait to use these feature, sign up for WhatsApp beta on Google Play from your Android phone. Furthermore, you can also download the APK File from APK Mirror.